In this nonstop thriller from the #1 New York Times bestselling author of the Stone Barrington series, the protégé will become the hero as Herbie Fisher gets caught in a web of deceit, corruption, and greed. 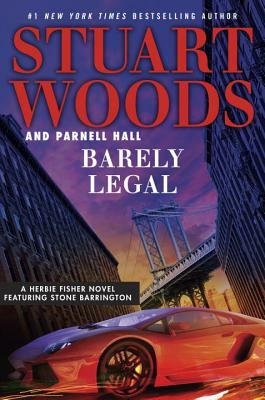 Under the tutelage of Stone Barrington, Herbie Fisher has transformed from a bumbling sad sack into the youngest partner at the white-shoe law firm Woodman & Weld, and a man whose company is in high demand both because of his professional acumen and his savoir faire. But even his newly won composure and finely honed skills can’t prepare him for the strange escapade he’s unwittingly pulled into, and which—unbeknownst to him—has put him at the center of a bull’s-eye. In the city that never sleeps there are always devious schemes afoot, and Herbie will have to be quick on his feet to stay one step ahead of his enemies...and they’re closing in. Parnell Hall has been an actor, screenwriter, and singer/songwriter. He is a former president of the Private Eye Writers of America and a member of Sisters in Crime. He has been a finalist for an Edgar, 2 Lefty, and 3 Shamus Awards. Hall lives in New York City.